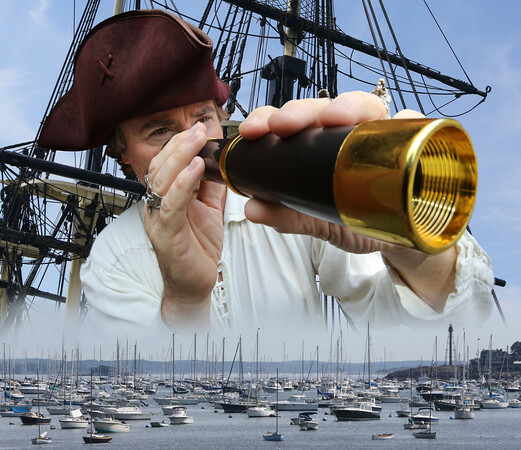 Pirate John Quelch over Marblehead Harbor. Photo illustration by Ken Yuszkus. Pirate John Quelch is portrayed by Tim Canady of the New England Pirate Museum in Salem.